 Welcome to Country North Gifts! Thank you for visiting our website! We have added some new content, features, and a newsletter system. We have added products to our Product Lines page, so you can see everything that has been recently added. Please check out our Store Gallery page as well for all of our updated photos. Take a look around the website for all the new content and, if you have any questions, please go to our Contact Us page. Country North Gifts © 2016, All Rights Reserved.